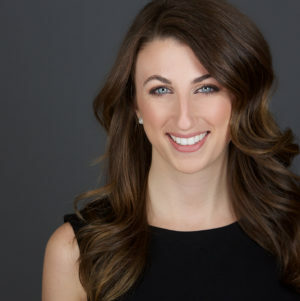 Jill Brader is marketing manager for City Center Investment Corp., whose major mixed-use development, City Center Allentown, is revitalizing downtown Allentown. Brader is responsible for planning, creating, implementing and monitoring multi-channel marketing campaigns and content strategies to support business goals. She introduces ideas on content and capabilities to optimize brand, campaign and sales objectives as well as websites and social media channels. Recently, she was given the additional responsibility of managing the company’s community-engagement initiative. Brader joined City Center from United Way of the Greater Lehigh Valley, where she served as interactive communications and creative media manager and as assistant director of digital marketing. Prior to that, she was marketing manager for Valley Preferred Cycling Center. Brader holds a bachelor’s degree in digital communications from Lebanon Valley College. She is on the board of the American Advertising Federation, a member of the marketing advisory board of Good Shepherd Rehabilitation Center and a volunteer coach for Girls on the Run International.